Eleonora („Elli“) Hertz is a very experienced PR consultant with focus on health care and medicine. Elli has been working for more than 25 years for Industrie-Contact. She has multi-folded client experiences as Beiersdorf, BSN medical, Smith & Nephew, Solvay and many more. She is very good a classic Public Relations, Online-PR and Live Communication. Elli’s strength is not only her knowledge about medicine and the health care system but also her excellent media contacts. Moreover, she is a brilliant writer of by-lined articles. Her client handling is very precise and thorough which helps very much to avoid any misunderstandings while executing a PR campaign. Elli joined Industrie-Contact in 1988. 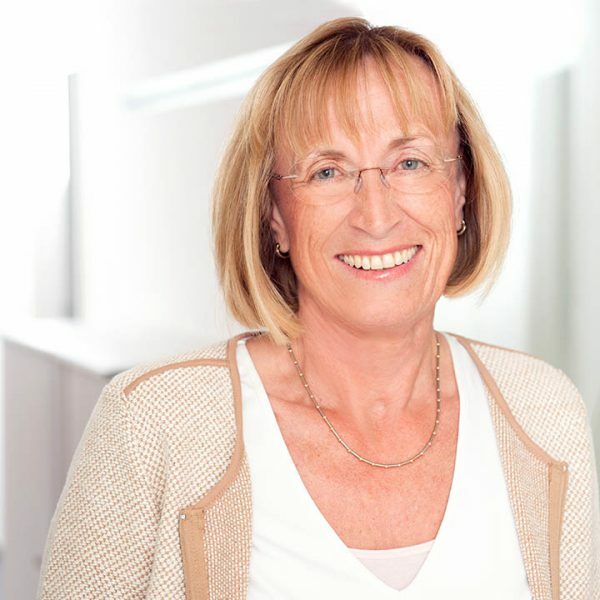 Beforehand she was the head of the nutritional department of Germany’s biggest health shop chain Schmelz where she was in charge for corporate communications and staff trainings. Further competences of Elli were OTC medicines and natural cosmetics. Elli kicked off in the PR industry immediately after her studies of ecotrophology in the PR agency IP Informationen/Public Relations Dr. Reiner Schulze van Loon with clients like CMA und Outspan Ltd.
Elli is always on the move. Her favorite sports are table-tennis and golf. She loves to spend her holidays at golf hotels.